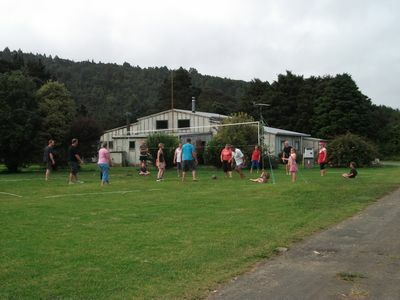 Riverglen Holiday Park and Campground features a selection of Coromandel accommodation to suit your needs and your budget. 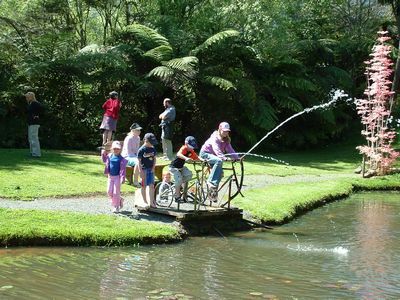 From self-contained, cabin and dorm accommodation, to Caravan and RV sites – all you have to do is choose your accommodation, pack your bags and come to the beautiful Coromandel, NZ. 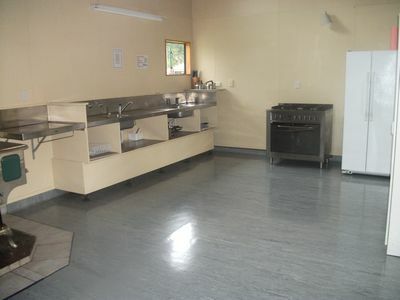 Backpacker Lodge has use of the shared adjoining lounge and the commercial sized kitchen and dining which seats 50, three bathrooms (one disabled) and 4 toilets. This building is a great venue for weddings reunions school groups etc. in the summer time it is hired out as a backpackers with 3 separate groups. These cabins are great if your on a budget but dont want the hassle of a tent, they have evrything you need for a good nights sleep with the albutions block close by. Beds are made you need to BYO towels. Cabin Six – Double/Single Bunk 2 sets of single bunks Table and chairs TV – perfect for a family of up to 7. 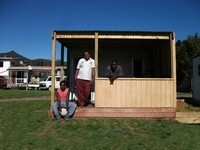 Standard cabins have use of the shared kitchen and bathrooms. We have three onsite caravans available for guest accommodation at Riverglen Holiday Park - one with annex attached to including your own kitchen and lounge area, One caravan features double bed and single bed, with the other caravan with one double bed. 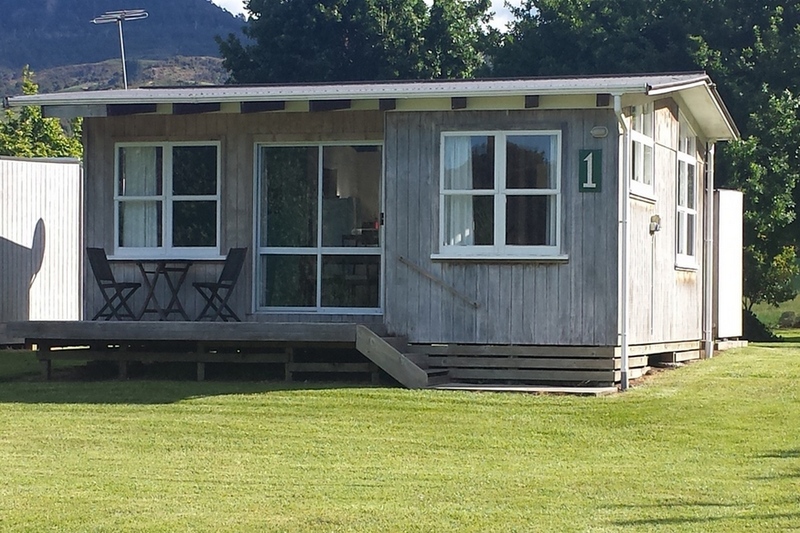 Caravans have use of the shared bathroom, kitchen, laundry and BBQs. 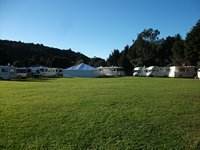 We have plenty of space, some shady spots, some sunny, some with view of the river – just choose your perfect spot, park your RV or pitch your tent and start your holiday in the sunny Coromandel. Tent sites have use of shared bathrooms kitchens laundry and BBQs. There is a playground, 2 trampolines a fooseball table and a ping pong table. We have some bikes for kids to ride around the camp BYO helmet, darts, sports gear and tubes to use at the river.